Since I am not real big on snow and cold weather in general, but I absolutely love mountain towns, I typically spend my summers visiting cute little mountain towns. The big benefit of doing this, other than missing out on the cold weather, is that prices are low as it is the off season for the area. Last summer, I took a trip to Vail, Colorado and happened upon something pretty cool. It’s the world’s highest botanic garden – and it’s in Colorado! The Betty Ford Alpine Gardens is open year round and is 100% free! You don’t even have to pay to park there, which is pretty great if you are on a tight budget for your summer vacation. I found it to be a great way to spend an afternoon. The gardens have lots of beautiful blooming flowers as well as little streams and waterfalls. Plus, you can take in those awesome mountain views as you walk through the gardens. Just remember to bring a bottle of water and maybe a sun hat so that you don’t get sunburned like I did! You can find the gardens in Vail by heading to Ford Park. Also note that they unfortunately do not have any type of cafe on site, but there are a couple of gift shops on the premises. Before heading out, I suggest you take a look at their official website http://www.bettyfordalpinegardens.org/ to get a bit more acquainted with the gardens. If you find yourself in Europe this summer, and want to visit a vibrant but cute little beach town, then the Costa Brava area of Spain is where you need to head. 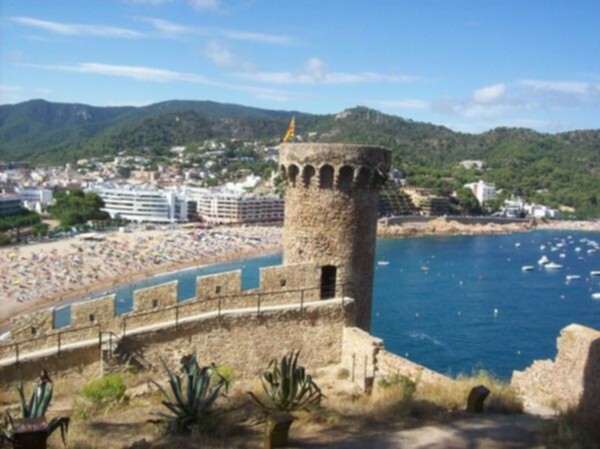 So, book a cheap flight to the area and point your GPS in the rental car to the breathtaking town of Tossa de Mar. 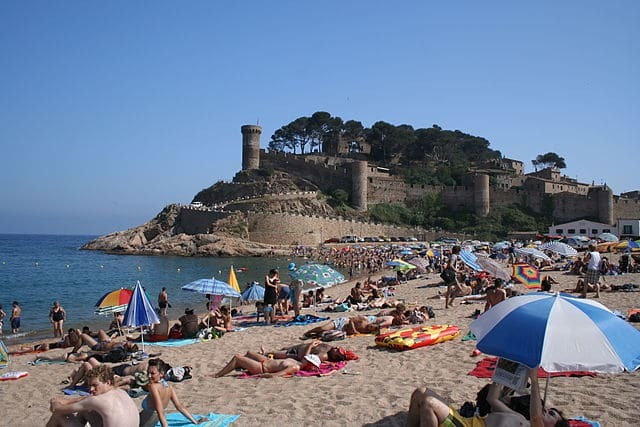 Located just 62 miles south of the French border and 64 miles north of popular summer destination Barcelona, Tossa de Mar is not the kind of beach town that you want to pass up if you have a chance to visit. It is a rather small town with a village-like feel. You can easily walk everywhere that you need to go, so a car is not necessary. What’s So Great About Tossa de Mar? I first visited this beautiful Catalan beach town in the summer of 2013 on a whim. I was staying in the nearby city of Girona and interested in doing a day trip to other Costa Brava locations. Figueres was my intended destination until I read online that it was normally brimming with tourists in the summer. After that, I found a small write up about Tossa de Mar and when I got to the part about it being a walled city, I was hooked. The city walls are a sight to behold. And the really cool thing is that you can walk along the walls and find yourself starting out at the coastline for some truly breathtaking views. Many of the restaurants that you will pass on your way to the beachfront (or the city walls) are open on the sea side so that you get those great sea views and breezes while you dine. I ate at a pizzeria that had good food and even better views. Of course, once you reach the end of the street, you can go slightly right and into the walled part of the city or take a direct left toward the waterfront. There you will find even more restaurants, some with tables right up to the edge of the sand. Locals are warm and friendly, and no need to worry about learning the Catalan language as everyone I encountered spoke excellent English. This could be due to the large number of British tourists visiting the beach town. Either way, it makes for a stress free holiday break at the beach. The closest airport to the area is the one in Girona. Once you land, you can rent a car and drive the rest of the way on your own or take a shuttle bus. There are actually a number of coach buses that offer this transport service, with the cost coming it at around 10 euros per person for a one-way trip to Tossa de Mar. If you drive to Tossa de Mar, there is not a lot to see along the way. You drive on some winding roads in a mostly rural area. And before you know it, you are entering the limits of the town. Parking is readily available and fairly inexpensive in the parking garages. You can stop at most any of them as the area is quite compact. However, I suggest finding one near the tourism office so that you can pop in for a free map of the area. There’s also a gas station near the office for drinks and snacks. There are also local buses that can get you to Tossa de Mar from neighboring cities, including Barcelona. The cost of this can be as low as €1.30, however the buses go into Lloret de Mar, which is about 15 minutes away from Tossa de Mar. Here, you’ll have to change buses to get the rest of the way into town. If you are short on cash but have plenty of time, this is definitely the most economical way to get yourself to Tossa de Mar. Once you make it to the town, there is no shortage of hotels, hostels and B&B’s for you to stay at. Prices vary, which those closer to the beach normally carrying a higher rate. A good place to start your lodging search is the Trip Advisor site where you can read reviews from other travelers. Since I was staying in Girona, I had no need for a hotel, but I would not hesitate to book a beach vacation in Tossa de Mar. Before heading out, make sure that you get all your beach essentials ready, like protective sun gloves, otherwise you’ll have an added expense once you arrive. To get an idea of what to expect before you arrive, check out the video below from a fellow traveler who vacationed in this beautiful spot.